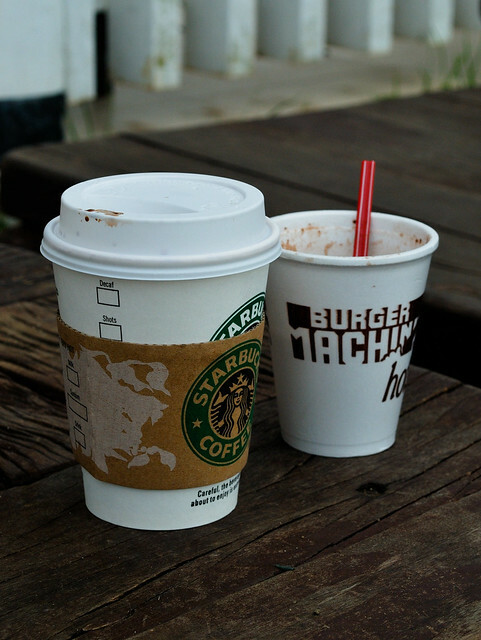 It had been so cold this January; so one morning, I decided to go to the nearest Starbucks to have some hot drink. When I am about to enter the door of the world's most famous coffee shop, a green burger stand just across Starbucks caught my attention. In just a split second, I found myself running across the street, securing myself a seat in front of Burger Machine, and proudly yelling that I am getting a cup of their Hot Choco. If I could only describe the smile that you can see on my face that moment. Whew! I have been craving for Burger Machine for about 2 weeks now, I don't know why I felt this sudden need of tasting BM's Hot Choco. Maybe, I was just wondering if it still tastes good just like the good old times (I haven't tried Burger Machine for maybe around 7 or 8 years now). 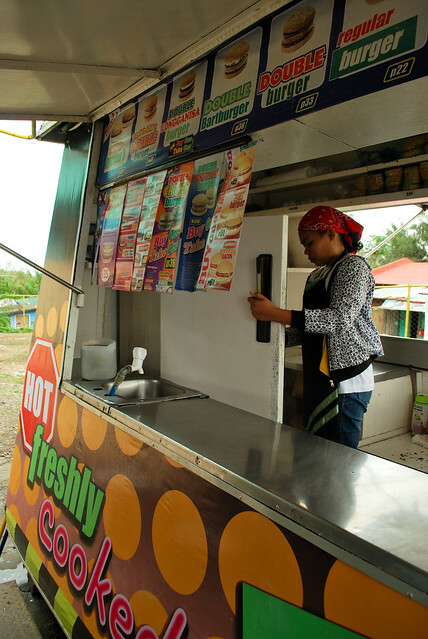 Fast Facts:Burger Machine is the market leader of the burger-on-wheels segment of Philippine's Food Industry. 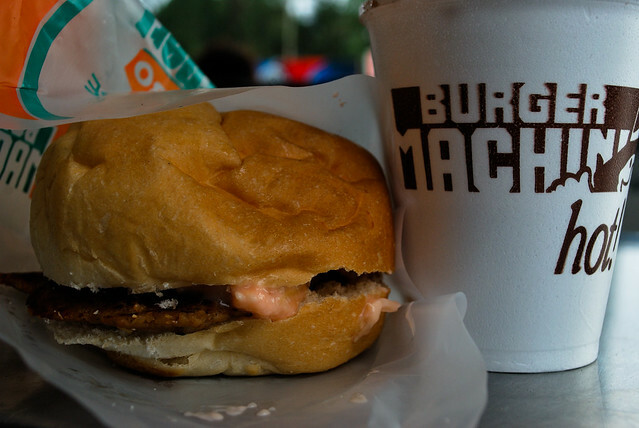 To simply put it, Burger Machine is the 'National Burger Stand of the Philippines'. 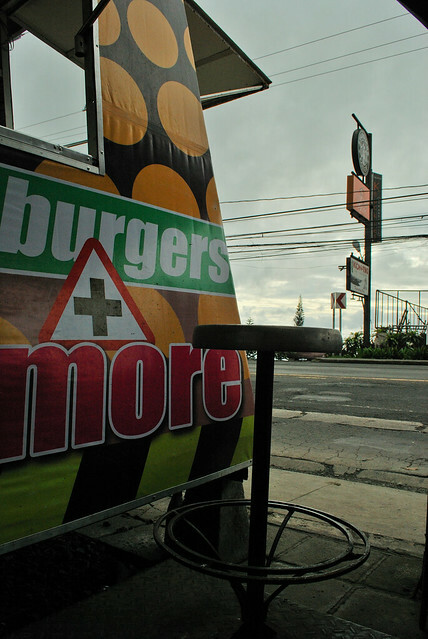 :) (Among the other famous burger stands in the Philippines are: Angel's Burger, Scott Burger Buy 1 Take 1 Burgers, etc). Burger Machine is not the resto type, it has been consistent in identifying itself as 'the-burger-next-door'; you can see it everywhere, in every block, and in every corner possible. It is open 24 hours, the reason why it earned its name "the burger that never sleeps". affordable burgers, lots of choices! Golden Rule: Pay as you order. Burger Machine started in 1981 when Ms.Fe Esperanza S. Rodriguez and her sister came up with an idea of converting mini buses into selling vans patterned after mobile food vans in the United States. 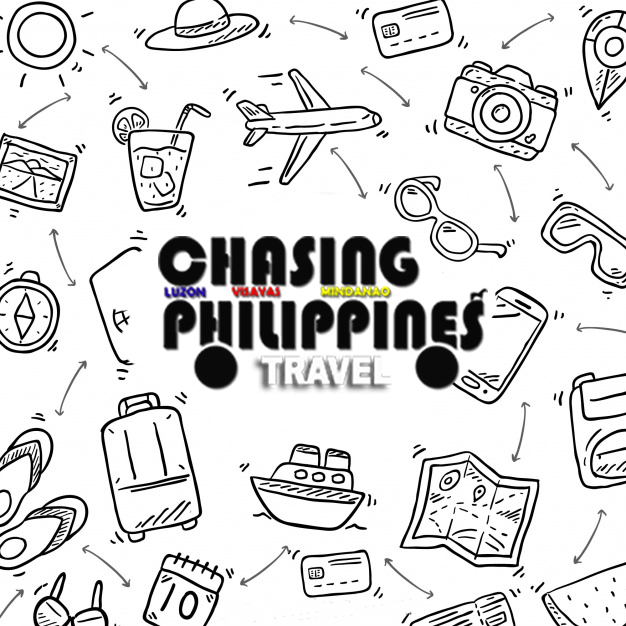 Her family’s liking of burgers gave her the idea of conceptualizing a unique way of serving burger sandwiches to people in the most economic, fast, & convenient way.The first two van type outlets were opened in the Rodriguez gasoline stations located along Aurora Blvd. and EDSA corner Julia Vargas. Now, after 30 years, Burger machine continuously grows with more than 1000 stores nationwide. 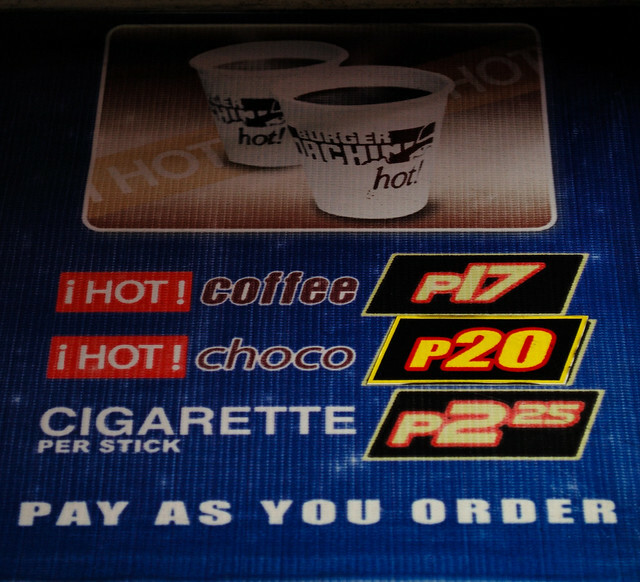 Burger Machine's Hot Choco is the most famous hot chocolate drink in the Philippines during the 90's. SB Mocha Frappe mo o yung Burger Machine's Hot Choco ko? Kailan ka huling nakatikim nito? *Hot Choco - the best!!! This really tastes good!!! You can buy this for only P20.00. *Bart Burger - I know all of you are familiar with Bart Burger. For P45.00 only, you'll get 2 of these. It is like a jumbo burger filled with coleslaw. *Coleslaw - I tell you, there will be sometimes that you're gonna crave for Burger Machine's burgers because of its coleslaw. You can ask for additional coleslaw for P5.00 only. *Club Sandwich - this one's available for P35.00 only; it is a double-decker sandwich with 2 burger patties, egg, bacon, and cheesy sauce. Important Notice: Try the Burger Machine in front of Makati City's Post Office. The attendant there really cooks consistently with passion. It does not mean that he flips over the patties with a little show or something, but he cooks the eggs and the burger patties like he wants it to be the most delicious burger you'll ever eat. Promise, I guess you need to give it a try some time. In line with its 30th Anniversary, Burger Machine has a lot of promos starting January 11 - January 31, 2011. (e.g. 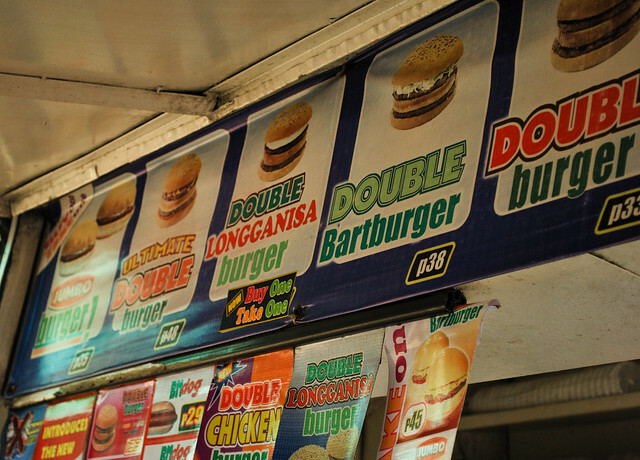 Buy 1 Take 1 Double Longganisa Burger for Php30.00 only, Buy 1 Take 1 Double Chicken Burger for Php30.00 only) So better check out the nearest Burger Machine! baka matalo kami sa defense. Sikat pa rin at kilala burger machine.Masarap at mura pa ;) walang tatalo kahit saan mo ikumpara!!! Ur the best burger machine. keep it up BM ! Pasyensya na po pero hindi ko rin po alam kung pano gawin ang pepper sauce. "Sikat pa rin at kilala burger machine.Masarap at mura pa ;) walang tatalo kahit saan mo ikumpara!!! Ur the best burger machine. keep it up BM !" tama! kahit ang dami nang sumulpot na burger stands, iba pa rin ang burger machine. lalo na yung coleslaw... patok pa rin! ung sa recipe lang po ng angels burger kung may nakaka alm po. pa help naman tnx. Wow. Burger Machine is the BEST! Napaka sarap talaga ng burgers nila, specificallyvang Bart Burger! 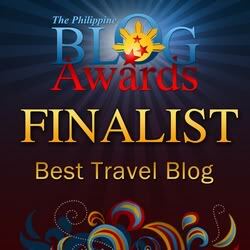 I just came back from a 1 week vacation sa Pinas and yan ang isa sa una kong hinananp na stalls!! Nakaka lungkot na konti na lang amg mga branches nila... i remember way back sa 2002, meron pa silang parang resto sa Aurora Blvd near St. Paul's college, ngayon nagsara na and puros computers na lang dun. Nevertheless, at least may mga iba pang stalls sa Q.C. And Manila! I had my sis bought my dozens of Burgers back home!!! Yummmmmmy! Delicious! The best!!!!! Yup the best yung Bartburger tapos padagdagan pa ng coleslaw!!!!! 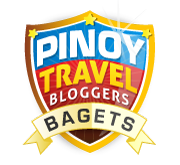 Kahit sa Makati dati, i remember may restaurants din na magaganda for Burger Machine, ngayon ginawa na lang condo or Eurotel ata.